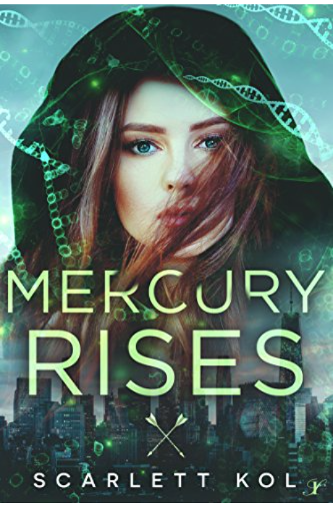 That's right all, the cover for Mercury Rises is now live, and you can see it below. Isn't it gorgeous! Thank you to the wonder Najla Qamber from Najla Qamber Designs for making such a beautiful cover for me to share, and thank you to Inkpell Publishing for all your hard work in making this book a reality. Mercury is also available now for preorder on Amazon and Kobo until it's release date on February 13th. So that means it's time for a PRE-ORDER GIVEAWAY! 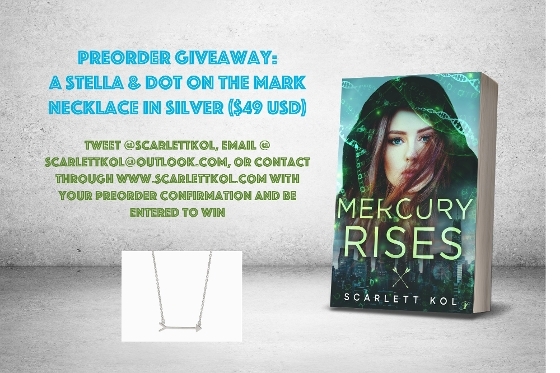 For anyone who pre-orders MERCURY RISES from either site and sends me a copy of their pre-order confirmation they are entered to win a beautiful "On the Mark" necklace from Stella & Dot. Contest is open internationally and will be drawn on release day. Good luck!